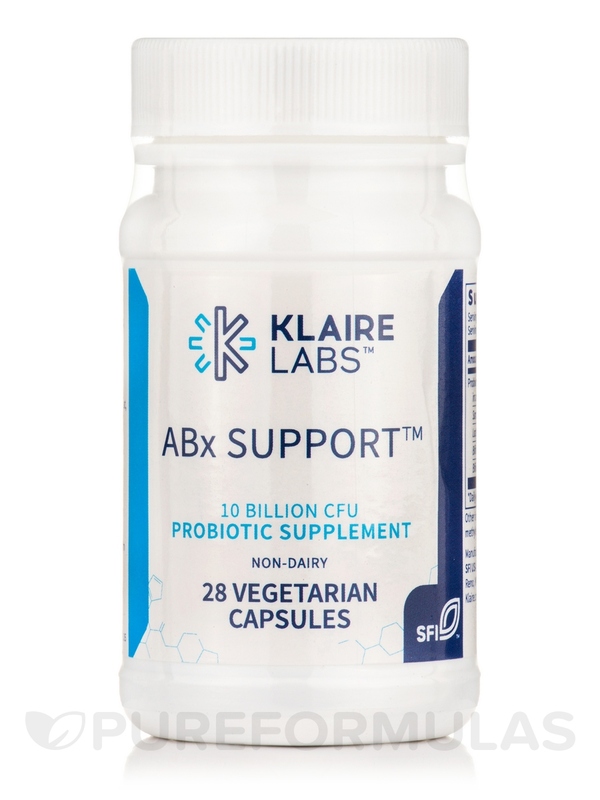 ABx Support by Klaire Labs is a very good probiotic. Works well after antibiotics to get good flora back up. If your doctor prescribes a course of antibiotics to treat an illness‚ you need to finish them all‚ even if you’re feeling better after a few days. Why? Bacteria can become resistant to antibiotic treatment; if you stop taking antibiotics before the bottle’s empty‚ some of the bacteria might survive—and the leftover bacteria may become immune to the usual types of antibiotics. As a result‚ any resulting future infections can be more difficult to treat. An unfortunate side effect of antibiotics is that they also kill off good bacteria‚ as well as the bad bacteria that make you sick. Beneficial bacteria help you digest the food you eat‚ so this imbalance may be especially felt in your stomach; removing the good bacteria might cause you to have an upset stomach‚ nausea‚ or even diarrhea. You can help lessen this side effect of antibiotics by bolstering the level of good bacteria in your gastrointestinal tract. Taking a probiotic supplement like Klaire Labs’ ABx Support during a prescribed course of antibiotics can help your body replenish its supply of healthy‚ helpful bacteria. 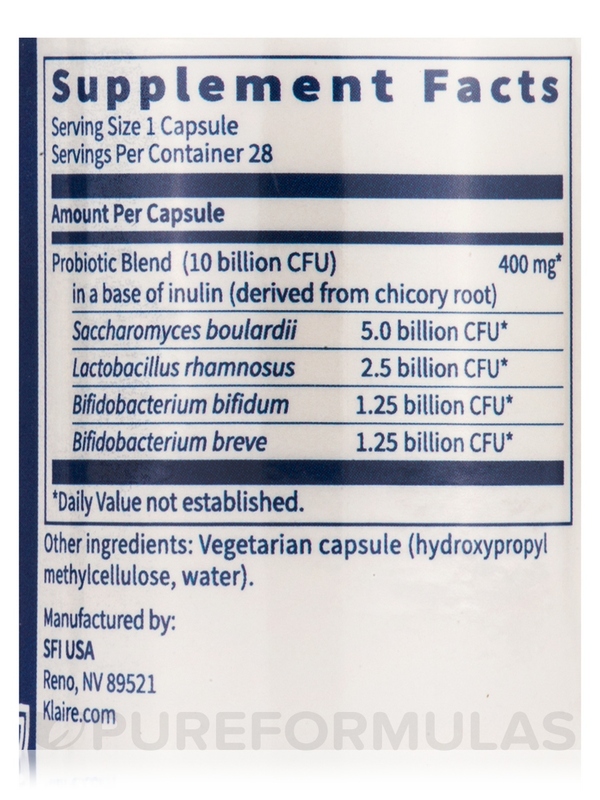 Each vegetarian capsule of ABx Support provides a blend of probiotics that includes Saccharomyces boulardii‚ also known as brewer’s yeast; Lactobacillus rhamnosus‚ a probiotic microorganism; and Bifidobacterium bifidum and Bifidobacterium breve‚ two types of bifidobacteria. The last three are bacteria that are normally present in the intestines. These four ingredients together are effective against diarrhea. 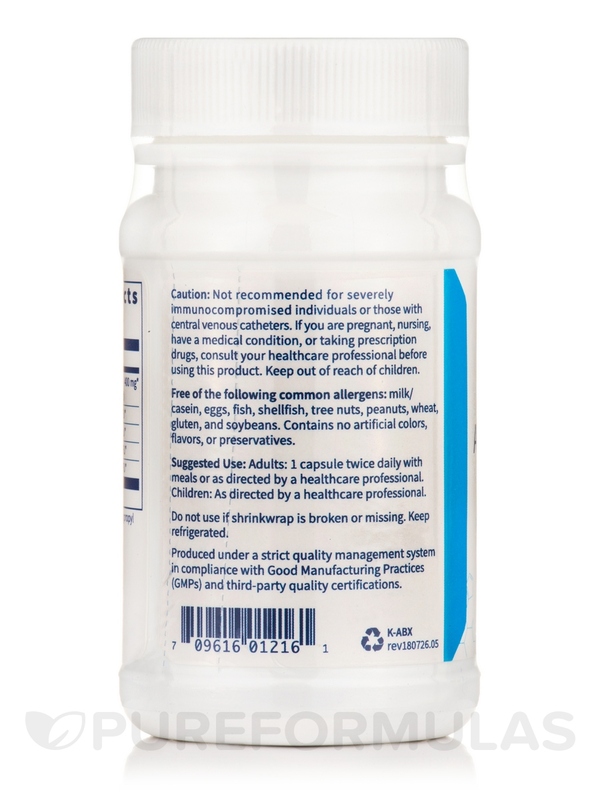 Since antibiotics kill all of the bacteria in your body‚ you should take ABx Support at least two hours after you take the antibiotic. 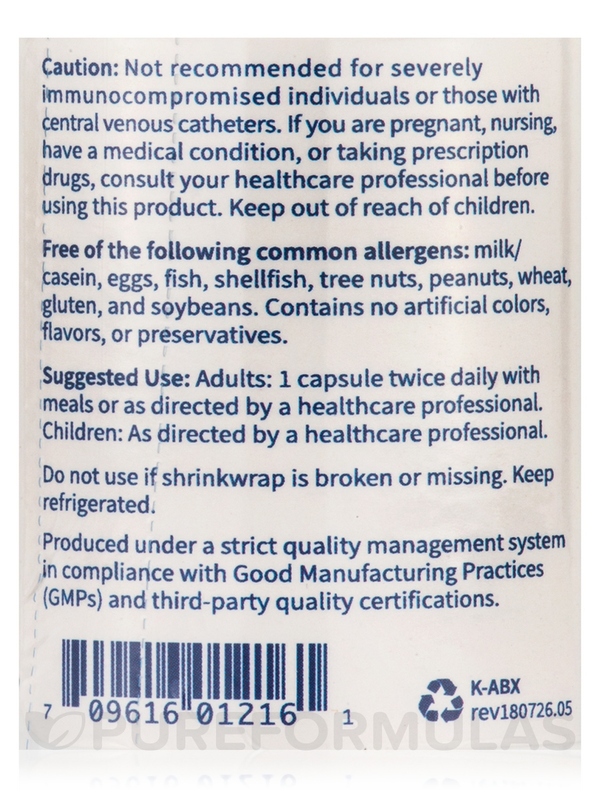 At the recommended dose of one capsule twice daily‚ a 28-capsule bottle of ABx Support by Klaire Labs will last for two weeks‚ the length of time of a usual course of antibiotics. 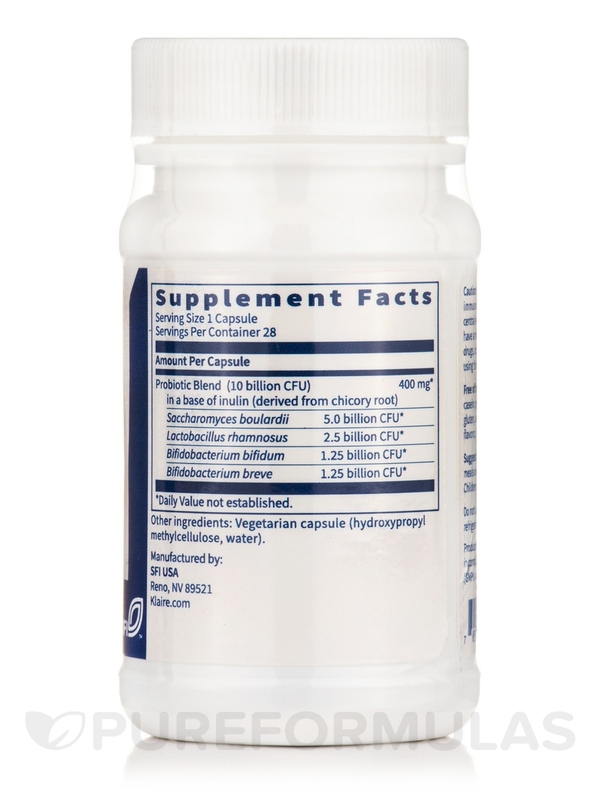 Other Ingredients: Inulin base derived from chicory root‚ vegetarian capsule (hydroxypropyl methylcellulose‚ water)‚ and L-leucine. Stomach issue is resolved. Great product! Somewhat expensive and needs to be kept cold.